* Through Cohocton if needed. ** Only available Tuesdays and Thursdays. 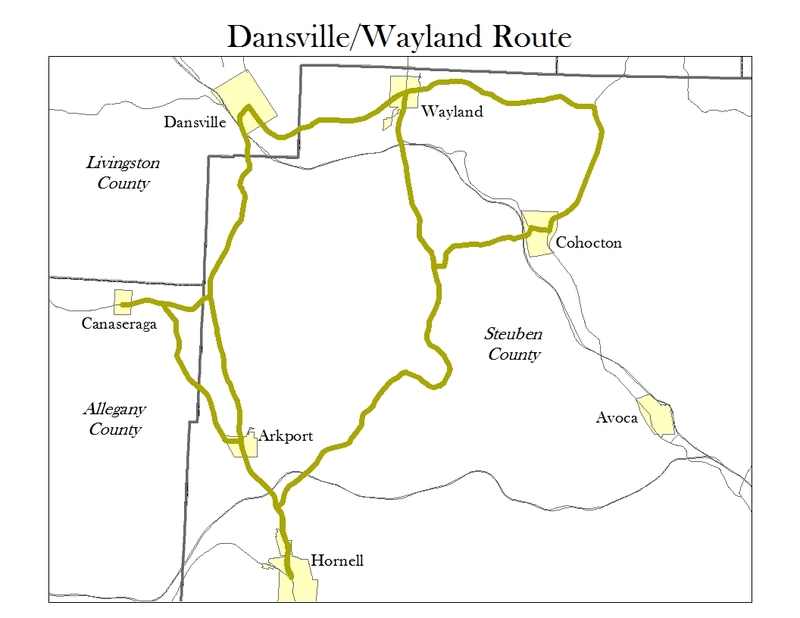 Dansville Wayland Service operates Monday through Friday. Canaseraga stops Tuesdays and Thursdays only.